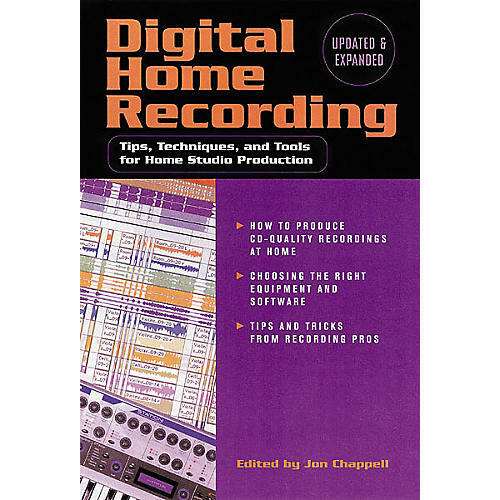 Digital Home Recording by Jon Chappell is ideal for musicians who are new to the complexities of digital recording, as well as for those who want to keep up with the fast-changing technology. Providing detailed guidance on using hard disk and DAT technologies, stand-alone workstations, computer-based DAWs, surround sound 5.1 and more, plus related hardware and software-based tools such as Softsynths, plug-ins and software samplers, the Digital Home Recording how-to guide also surveys 2-track audio recorders/editors, host-based audio/MIDI programs and CD mastering. Its analysis of emerging technology helps readers make informed decisions for creating and operating a cost-effective, professional-level digital recording studio at home.